Aloe has been well known for centuries for its healing properties, and both oral intake and topical dressings have been documented to facilitate healing of any kind of skin wound, burn, or scald - even speeding recovery time after surgery. Situations to try it on include blisters, insect bites, rashes, sores, herpes, urticaria, athlete's foot, fungus, vaginal infections, conjunctivitis, styes, allergic reactions, and dry skin. The raw plant is best, but commercial preparations can also be used, especially for taking orally, as this plant tastes horrible. Other topical uses include acne, sunburn, frostbite (it appears to prevent decreased blood flow), shingles, screening out x-ray radiation, psoriasis, preventing scarring, rosacea, warts, wrinkles from aging, and eczema. Internally, aloe is showing real promise in the fight against AIDS, and the virus has become undetectable in some patients who used it on a regular basis, due to its immune system stimulant properties. It also seems to help prevent opportunistic infections in cases of HIV and AIDS. It appears to be of help in cancer patients (including lung cancer) by activating the white blood cells and promoting growth of non-cancerous cells. The National Cancer Institute has included Aloe Vera in their recommendations for increased testing because of these apparent cancer fighting properties. Taken orally, aloe also appears to work on heartburn, arthritis and rheumatism pain and asthma, and studies have shown that it has an effect on lowering blood sugar levels in diabetics. Other situations in which it appears to work when taken internally include congestion, intestinal worms, indigestion, stomach ulcers, colitis, hemorrhoids, liver problems such as cirrhosis and hepatitis, kidney infections, urinary tract infections, prostate problems, and as a general detoxifier. Lastly, many people who take aloe internally report just feeling better overall, which is in and of itself something of a testament to its remarkable properties. As far as dosages are concerned, start small and work your way up to a therapeutic dose. Juices are a good way to start, and pills are probably the worst way to go with aloe. Aloe pulp is 95% water, and if you consider the process of drying this, then sticking it back together into a pill form, you can see why pills are probably not the best way to go. Also, give your regimen time to work. Sometimes it takes a couple of months for you to see the real effects of aloe treatments, so don't give up too soon. Aloe is safe when used in moderation, but there are a few contraindications. If you have a heart problem and use any kind of digitalis medication, consult your doctor before using any aloe product internally, as the interaction may cause irregular heartbeat. 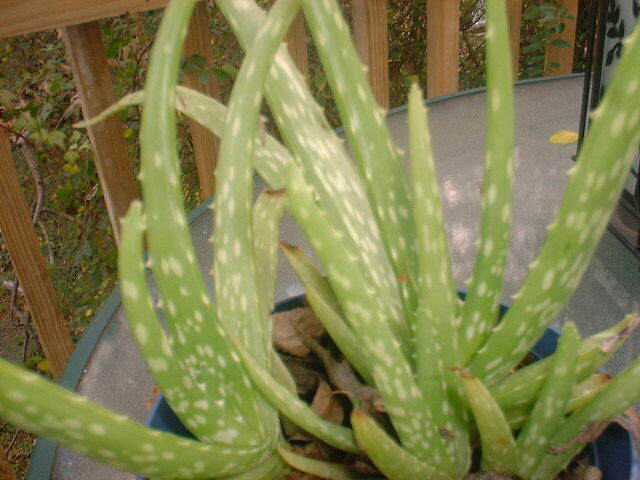 Avoid aloe preparations if you are pregnant, breast feeding, or menstruating, as it can cause uterine contractions.